Recently the Omaha World-Herald celebrated the 150th anniversary of the paper by highlighting Dr. George Miller, the founder of the Omaha Herald. They wrote a great feature article on many of Dr. Miller’s accomplishments. Our church historian wrote the paper to remind them of one accomplishment they forgot. In addition to Dr. George L. Miller’s journalistic and civic achievements so well described in the World-Herald’s 150 Years” section of November 15, he was a founder in 1856 of the First Congregational Church. This, the oldest continuously active Protestant church in Omaha, is now First Central Congregational United Church of Christ. Miller helped to convince Reuben Gaylord, its first pastor, to move to Omaha. He also signed the contract for construction of the first church building and served as the church’s first trustee and on its governing board. 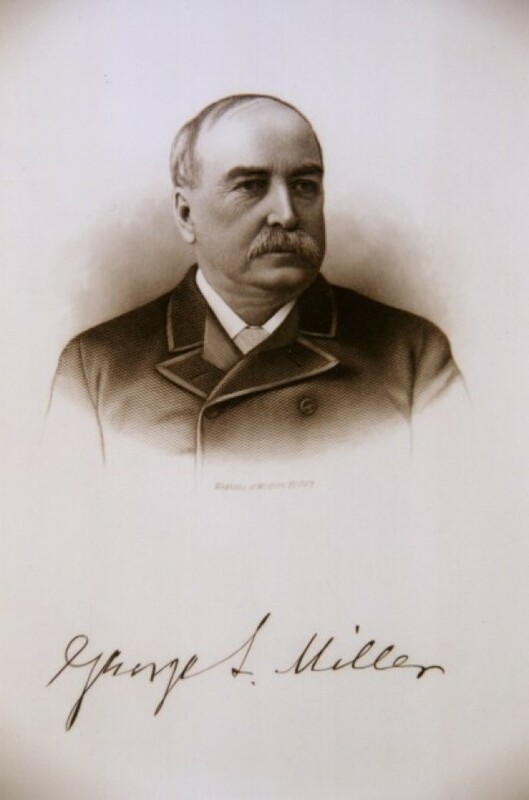 Current members of the church are grateful for Miller’s part in their heritage. Next year in the 160th anniversary of our church. We recognize the role our congregation has played in the history of Omaha and of Nebraska.